Welcome to a new kind of health center, where all the tools you need to live a vibrant, happy and healthy life are under one roof. At Blum Center for Health, we are dedicated to providing personalized care in a safe, unhurried environment – an environment where all patients and clients feel seen, heard and cared for. 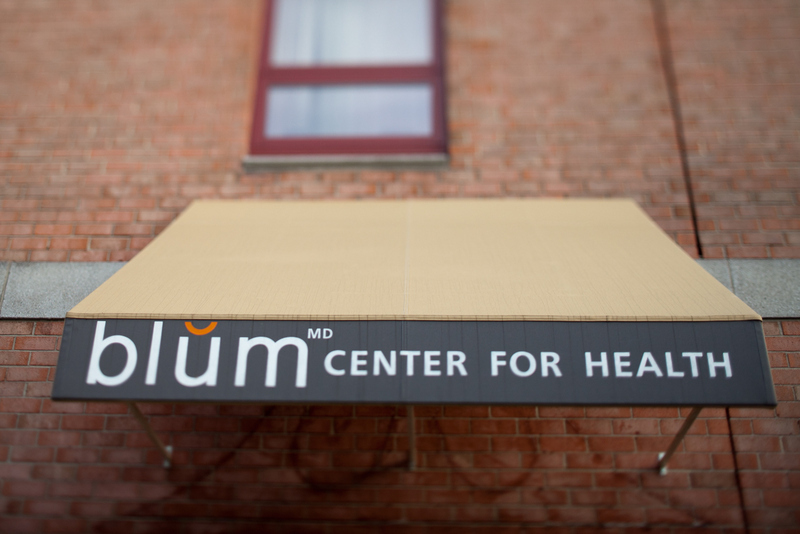 Blum Center for Health is a Functional Medicine and Lifestyle Education Center, where we teach you skills to make the changes we recommend as part of your personalized treatment plan to prevent, reverse and treat chronic health conditions. It’s a seamless approach to healthcare that is truly life changing. We’re often told what we should do to improve our health. But our lifestyle education center teaches you how. Our state-of-the-art kitchen offers healthy cooking classes, ranging from basic skills to global cuisines to medically themed, health-supportive classes; our Mind.Body.Spirit programs and classes teach you self-care tools for relaxation and introspection, which will further support your health goals. Susan Blum, M.D, MPH founded Blum Center for Health in January 2011. A true pioneer in Functional Medicine, Dr. Blum, an Assistant Clinical Professor in the Department of Preventive Medicine at the Mount Sinai School of Medicine, has been treating, healing and preventing chronic diseases for nearly two decades. As a Preventive Medicine and Chronic Disease Specialist, Dr. Blum is a member of the Medical Advisory Board for The Dr. Oz Show and a regular expert guest. In her first book, The Immune System Recovery Plan, (April 2013) Dr. Blum offers her proven four-step program, which she has used to help thousands of patients reverse their symptoms and prevent future illness. Including 40 recipes and a workbook style approach to help readers design their own personal treatment plans based on their symptoms and individual lifestyle choices. The Immune System Recovery Plan is a groundbreaking, revolutionary program that shows how anyone can cure the causes of autoimmune disease, strengthen their immune systems, and bolster their overall health.